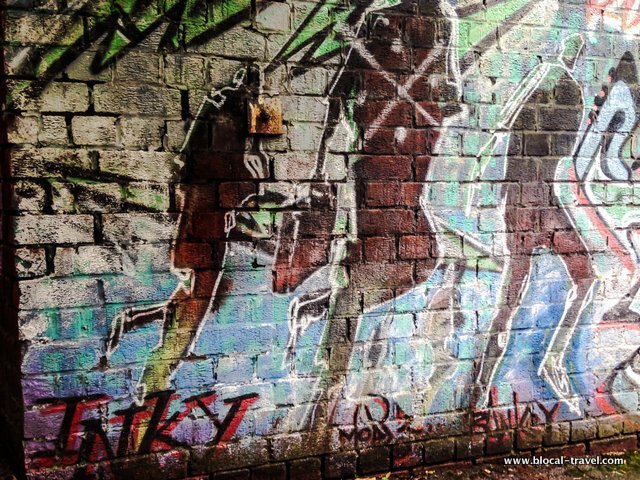 Painted together with Inkie and Mode2, this collaborative piece is one of the longest surviving early wall pieces by Banksy in Bristol. Back then, he was painting freehand rather than using the stencils and the influence of graffiti on his art was still strong, as we can see in the abstract mix of swirling colours and in the stylised lettering. 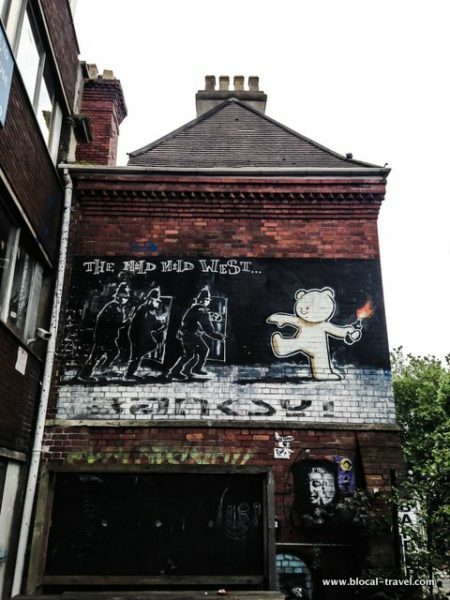 Bristolians love this old Banksy’s piece on Hamilton House, as it perfectly sums up their spirit: open and friendly like teddy bears, unless they are threatened and therefore must defend themselves with Molotov cocktails. 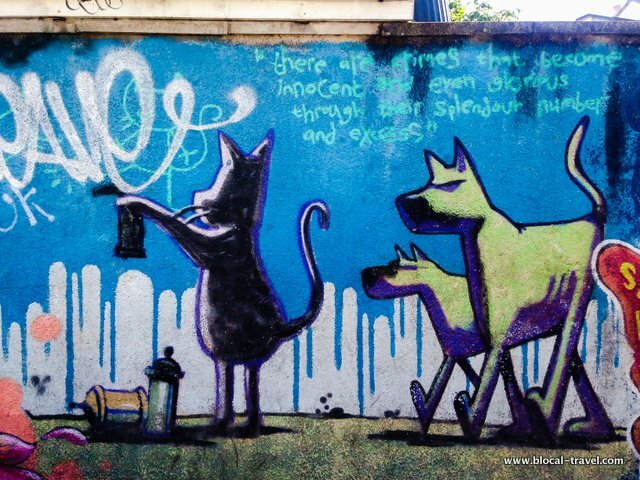 The piece refers to a street riot that took place in Stokes Croft. Back then, Banksy created and sold a series of posters to raise money for those who got arrested during the riots. 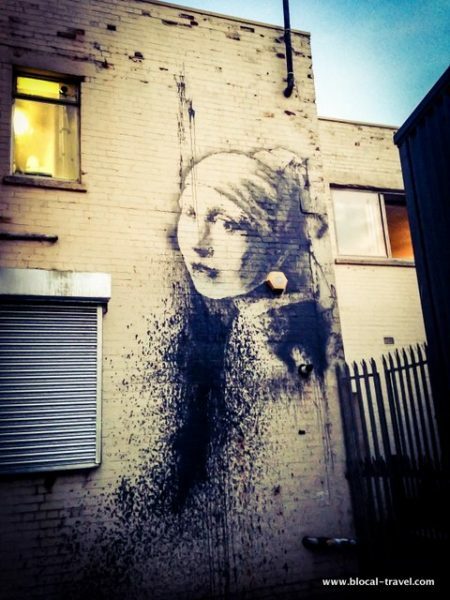 Although the practice is extremely common in London and other big cities, this is the only framed piece in Bristol, a town where even his earliest pieces –which date back to the 1990s- are still intact and respected (in awe, to boot!). But, in this case, the households loved this trapped rose so much than pushed themselves even further, by buying a glass and a frame to protect the artwork from tagging. As for me, I especially love it because I walked past it every day on my way to the city centre. 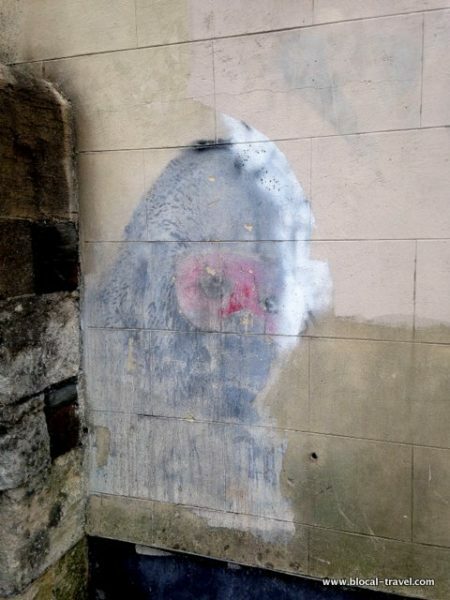 This black-and-white gorilla in a bright pink mask appeared on the wall of the Muslim cultural centre in Eastville, whose owner couldn’t recognise the value of a Banksy’s piece and painted over it in 2011. Although the effort of restoring it, the gorilla is now just slightly visible. 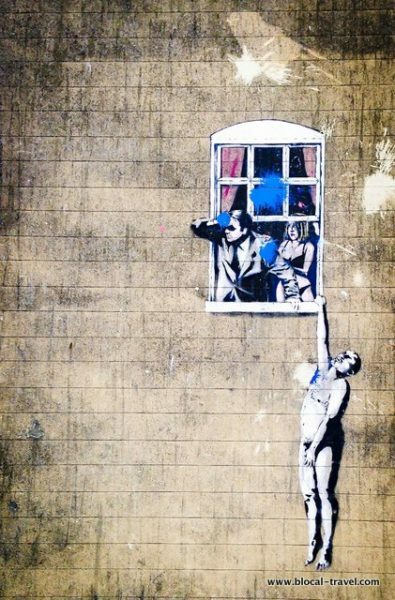 Banksy painted this provocatory piece depicting an adulterous couple on a building that used to be a sexual health clinic. 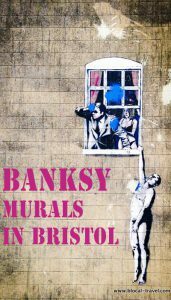 When the council bought the building from the member of the band Massive Attack who had commissioned the piece, it surveyed the people of Bristol: 97% of them voted for keeping the mural in view. The piece is a dedication to the insolent attitude of Bristol. Unfortunately, it was damaged by paintball attacks, but –hey- that’s part of the game. 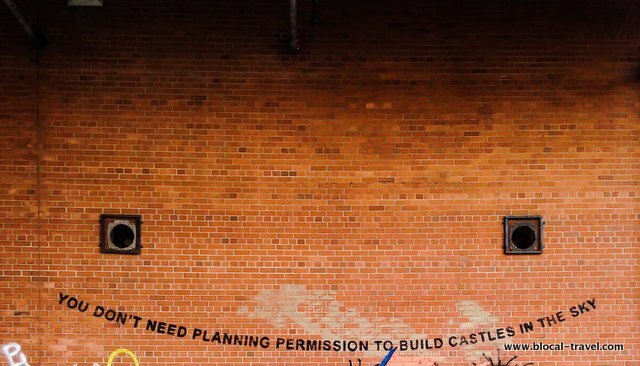 Tucked away in a parking lot in the city centre, there is the stencilled quote “You don’t need planning permission to build castles in the sky“. This 2,5-meter-long piece of textual street art is shaped like a smile, with two air vents where the eyes should be. 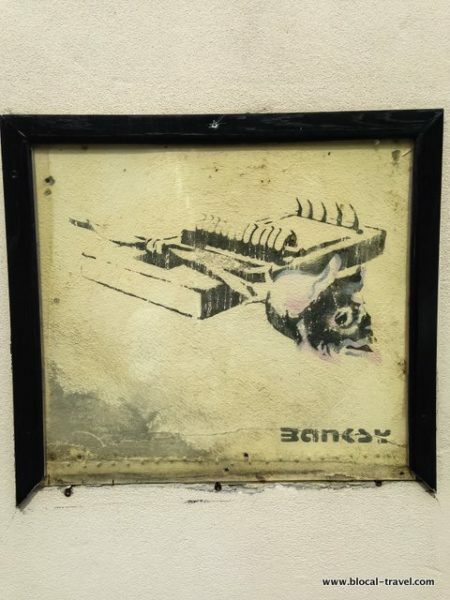 This is my favourite Banksy’s piece in Bristol, to the point that I wanted to tattoo it on my back (and perhaps I will when I will be back). 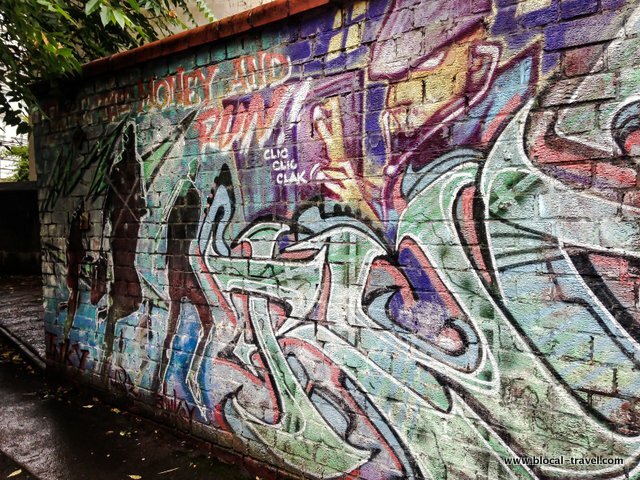 I especially love this piece, since it is the first one I spotted in Bristol. The mural is a satirical parody of Vermeer’s “Girl with a pearl earring”, and it uses the alarm box on the wall as the girl’s earring. This mural appeared right after the media had claimed the arrest (and the resulting identification) of the street artist. Even if some black paint was splattered over it less than 24 hours after its appearance, the piece is still gorgeous (actually, I think that the additional dripping paint adds a quirky charm to it). 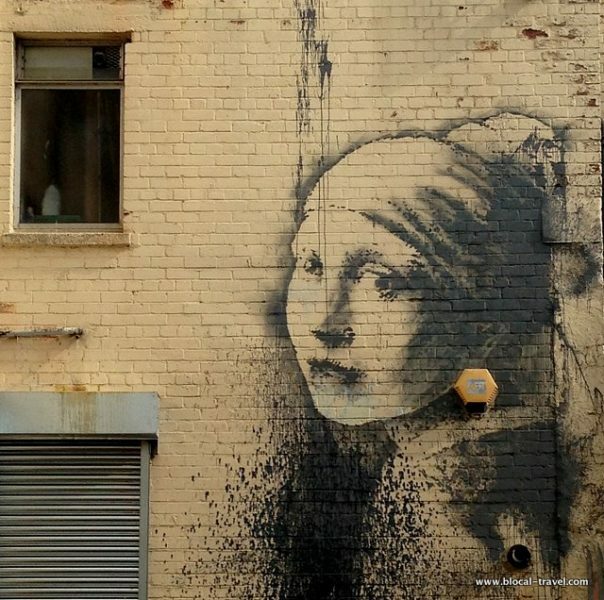 Although Banksy is now the world’s most famous street artist, he still creates new works around his hometown. 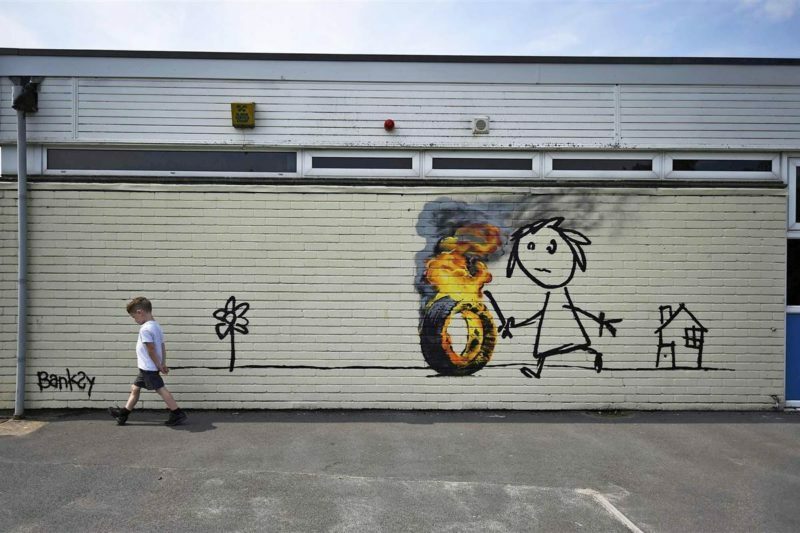 He painted this mural during my first week in Bristol: I rushed, overwhelmed with enthusiasm, to this school in the outskirts of the city, but the teachers didn’t allow me to enter. This adorable piece shows the sentimental side of the guy, who painted it to thank the children for naming a house after him. 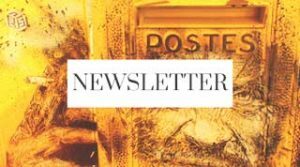 It depicts a sketched child with a stick chasing an hyper-realistic burning tire (a modern take on the Victorian game of hoop rolling). Banksy also left a thank-you note, in which he wrote to the children “it’s always easier to get forgiveness than permission“. 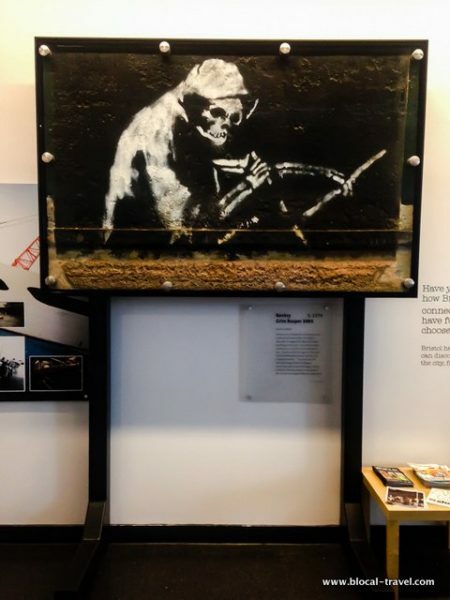 “The Grim Reaper”, now living safely at the M-Shed Museum, was painted in 2003 on the side of the Thekla Social Boat on the Bristol Harbour, from where it was removed as it was deteriorating due to murky water. Banksy himself stated that when the harbourmaster painted over the tag he had left on the side of the boat and the owner of the Thekla club threatened to sue him (the harbourmaster, not the writer: that’s how much street art is nurtured in Bristol, btw), the artist went out and hit it again, this time stencilling the grim reaper. 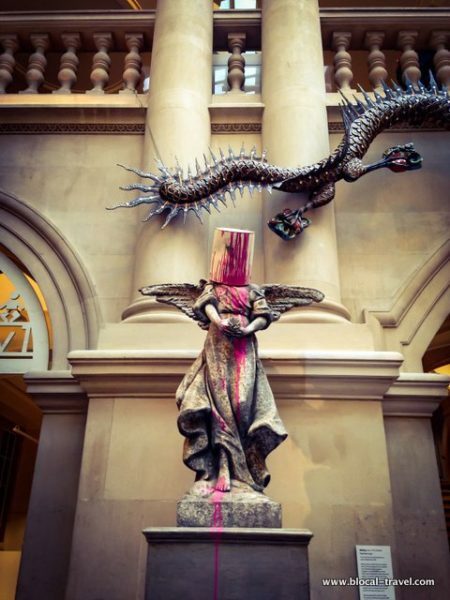 The “Paint-Pot Angel” at the Bristol City Museum and Art Gallery is a reminder of the hugely successful, organized-in-secret exhibition “Banksy Versus Bristol” held in 2009 (which was rated one of the top-3 tourist events that year). This statue challenges what we expect to see in museums and what value we put in art. 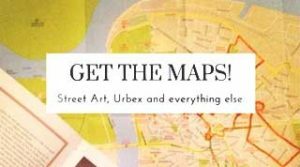 Find these murals (and many more) on my Bristol Google Map!